Hate to say it but a TED Talk without strong narrative structure is a boring TED Talk. In “Talk Like Ted: The 9 Secrets of the World’s Top Minds” the author leaves out the most important “secret” — how to make the jump from the non-narrative to the narrative worlds. There’s even a chapter on “Mastering Storytelling” that does exactly what happens everywhere — she tells you to tell great stories but doesn’t give one analytical clue of how to do it (i.e. using the ABT). This is exactly the problem I hear about everywhere I go. So much excitement about “storytelling” yet so much arm waiving. She even thinks “narrative” and “storytelling” are the exact same thing. Nope. WHAT I LEARNED FROM THE SOUTH PARK GUYS: Narrative structure is so important, yet so, so hard to get right (even though this book makes no mention of that part of it). I hear it all the time. 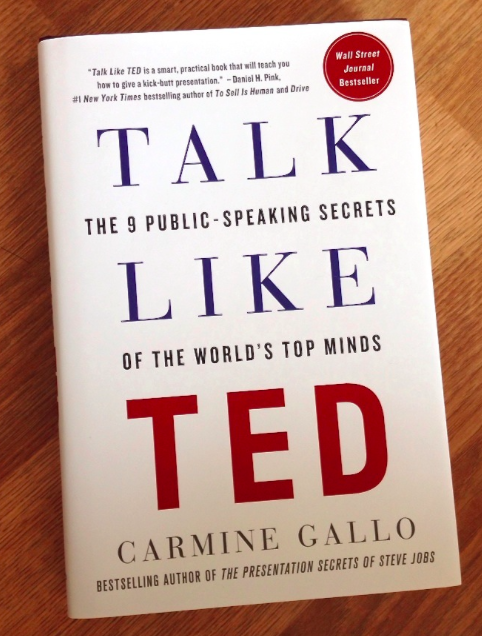 But if you want to see exactly this conundrum in print just look at the book “Talk Like TED” where the author lets you in on “Secret #2: Master the Art of Storytelling.” Shhhh — don’t tell anyone, it’s a secret. In fact, it’s such a secret she doesn’t even tell you about how to cross the divide from the boredom of the non-narrative world into the power of the narrative world. Instead, what you get is a fun hodge podge of encouragement to tell personal stories, and tell stories about heroes and villains, and tell stories that are full of surprises, and … zzzz. What they actually meant was that he was incredibly enthusiastic, which he was because he luv, luv, luvs his frogs. But after about ten minutes I was bored out of my head, wondering why I had to listen to “story” after “story” about his frogs that were all just conglomerations of facts. There was no story structure to any of it — just non-narrative facts, facts, facts. This is why I’m such a rabid fan of the ABT. There is almost a class element to it — sharing the story wealth of the rich people with the story poor — those people who haven’t spent their whole lives in an intensely narrative environment. The ABT is what’s missing from all of these books (and there are now a TON of them) on storytelling. The books all mean well, but they simply don’t know about the structural, analytical side of narrative. That knowledge is just starting to emerge from Hollywood. It takes time. In the meanwhile, just know that the dictum of, “Dude, it’s all the same story,” (which irked so many science bloggers when they read it in my new book) will hit you harder and harder the more analytically you look at pretty much everything everyone has to say on the topic of story. It’s the basic message of John Yorke’s great 2014 book, “Into the Woods” which takes an analytical look at how everyone is teaching screenwriting today. He shows that they are all teaching “the same story,” they just each have their own little way of making their stuff seem different. But it ain’t. And it’s much wider than that. A friend wrote to me last week and said, “I just realized The Message Box is just a more complicated version of the ABT.” Yep. Same as “Made to Stick.” Why do you think things stick — it’s because they have strong narrative structure. Why do you think the story of Gilgamesh from 4,000 years ago has persisted? Dude, it really is all the same story. Give it enough time and you’ll see it’s true.